Quit 7 Years of Sleeping Pills in just 2 days! "After attending the Silva Seminar I have noticed a lot of changes in myself. because of silva. I am entirely happy within myself and I have faith now in my body and my mind, that it will take me where I need to be. of my dreams, the Hermitage Museum in St. Petersburg - a position normally offered only to graduate students, and yet I am only just out of high school. I will also be volunteering at a school in Vietnam and working with a family in Florence - a year of discovery to say the least! visiting, working in and living in. I cannot recommend this course more, and with Irene especially - my guide and my inspiration. I attended my first Silva Method Seminar in February 2013, and then another in April 2013. I used to suffer from sinuses, which only affected me in the evening and prevented me from getting a good night's sleep. After doing the silva method, I found I could focus and relax the area in my head where I felt the pressure building up. After practicing this a few times I haven’t had it since!! Another health issue arose when I started to develop eczema on my right arm and around my neck and face. The itching drove me nuts, and the medicine I was using did not seem to be working. I found it impossible to stop scratching. It was while I was busy scratching my arm that I realised how tense the area was. I used a Silva Method technique and noticed that the itching sensation went from unbearable to barely noticeable instantly. I have also taught my daughter (13 years old) to use various techniques to heal her pimples and these have helped her immensely. I have found the Sleep Technique to be invaluable– it is great to be able to easily go to sleep and have a great night’s sleep! 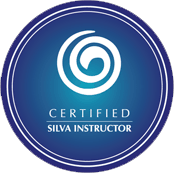 After taking the Silva Course, I have found that I can focus easier and retain so much more information. I am less stressed and feel much more at ease with life. In terms of my studies, I found that by going to level before reading, I could remember almost everything. This proved very helpful in exams - and helped me to get 1st in English and History. Also I used the three-fingers technique during my speech (triggering confidence and success) and I won the school speech competition. I look forward to the next Silva Course where I can continue to improve my newfound skills and learn more life-changing techniques! Im very glad that I did this course. Itwas just great to learn to control things that you never imagine that you could. Im far more optimistic than I have ever been before. I can now control uncomfortable situations in a better mannerand Im able to control my health as well. seminar and I achieved so much! Now Im ready for life and ready to make my life better and better the way that I want, the way I think is better for me ! Thank you Irene for everything!!!! I am in my second to last year of school and before I took the course my education was going down the tubes. I had lost all motivation to do well and did not invest any time into achieving the results I am capable of. Since taking the course I regained a strong desire to do well at everything I do. I set up a study plan and completely turned around my results and could focus in class and learn faster with the new techniques I have learnt. I believe that from this I did very well in my external examinations. Also, now throughout the day I am much more at peace with myself and with situations in my life. After the Silva Method seminar I decided to see whether a long standing relationship could really be healed. My relationship with my mother has been a negative one: I have been very angry with her for many years as well as with myself for getting angry with her. I went to my level and spoke to my mum and asked her to forgive me for anything I had done to hurt her and then I forgave her for all the hurt she caused me. The next morning my mum called me and we had a lovely chat like old friends. I felt wonderful and this feeling is still with me. I laughed as we talked and I realized how much I really love her and she loves me. I have attended Silva Life System and Silva Ultramind seminar in February. Using one of the techniques I have manifested my dream house in 1 week time, it took another 2 week to negotiate and next week we are going unconditional on the contract. I wanted a 5 bedroom house with a section 3000+sqm in a quiet location, away from the road with mature trees and good neighbours. In one week time my husband came across a 5 bedroom house with a section of 2938sqm, when attending open homes. It is situated down a long private drive way, the section is surrounded with mature trees. I wanted a garage, but I did not put that on paper and the house has a carport (that’s what happens when you do not specify). The house price was out of our budget, we have put an offer in and it was rejected. Using another Silva technique I have asked about what to do in this situation and I got an answer to wait for 2 weeks. We have repeated our offer in two weeks and it was accepted. We started to organise finance for the house as soon as we found the house. I have used one of the Silva techniques to create a positive outcome. At the end our loan was approved (before attending Silva seminar and using the techniques our applications were rejected twice). I consider this particular situation to be a great success and proof that Silva techniques work if you have faith, believe and expect things to happen. I was amazed by how quickly the house manifested. I knew that the house that I wanted was out of our price range but I believed it anyway, expected it to happen and the house manifested and we were in a position to buy it. Thank you very much, Irene, for being such an inspirational teacher. I just wanted to let you know that I did really well in my second semester exams at University I secured an A, and 2 B+'s. This is a great improvement on my previous grades. Currently I am doing summer school and its going really well!! Moreover, I had programmed to reduce my weight and I have managed to do so and I am feeling really good about this achievement. I did my first Silva training in 1993, and I have been actively using the Silva Method ever since. It is by far the best personal development program I have ever done. The most important technique I learned in that course was the basic technique of creative visualization. Visualization was explained clearly and it was easy to follow and to do, even on my own. In 2006, I began writing my book. In the ten years that followed, I attended several Silva seminars with Irene in New Zealand. Her support and enthusiasm about my book was wonderful. The road to publication has not been easy; there have been a lot of ups and downs. But I continued to visualize my success and keep the positive outcome of publication as my intention. My book, This Way Up: Seven Tools for Unleashing Your Creative Self and Transforming Your Life will be published in April 2016! I know with certainty that the Silva Method and creative visualization in particular has been a big part of getting my book to publication. The Silva Method has had a huge impact on my life. It's amazing how much you can do with your mind when you know what to do. I cannot recommend this program highly enough. Since attending the Silva Seminar in Wellington, I have had success with programming for small things and big plans in my life- including an ideal job offer for next year and also for dealing with bureaucracy in my role as a volunteer for my refugee family. Very happy and grateful for all that! of energy that I never had before, as well as clarity in thought. The Silva Method has helped me to broaden my perspectives on how to view different aspects of life, and in turn to take different courses of action, to get better results. The seminar also taught me things that I didn’t know about myself. This is very important, as many people go through life with a belief or experience that is holding them back and they don’t even know about it. Irene is a great teacher who was sincere and made sure everyone understood what was being taught. My dysfunctional relationship with my dad has virtually vanished. There are some improvements still needed, which I am working on. My relationship with my dad has been improved significantly only after attending the seminar. Having made improvements in that area, I feel more at peace and relaxed. As a result, I now can focus and think easily. I am now ableto focus my energy in areas that are very important to my personal development and growth, as I no longer focus my thoughts on anger and resentment towards my dad. Thank you Irene, for helping me so much. Attending the Silva Seminar has helped me focus on the positive and see the good things in life that I am so grateful for and what we normally take for granted. I also feel much calmer and more relaxed. My sleeping has also improved and I now have the skills to deal with things that pop up on a daily/weekly basis. I feel so lucky for having had the opportunity to do this course and hope to do another one sometime soon. I thoroughly recommend it and have made a promise to myself to make sure I get my children there as soon as possible – it would be such a good investment in their future. Right from the start I noticed a complete change in energy. I felt more positive and had more awareness about what I was doing and saying. The seminar was amazing and life changing. ­It gave me a whole new toolbox for problem solving, staying focused and achieving greater clarity. I notice that I am calmer and more peaceful. Amazing co-incidences have started happening and my outlook on life has changed dramatically for the better. Irene was great and had the perfect approach to help each of us. My son had post traumatic disorder issues, yet whilst we did so much work with various therapists, still problems remained, both behavioral and self destructive problems. Sending my son to Irene was really a last resort and the work she did is amazing. My son is happy, his self confidence and self esteem are now extremely high. My parents who see my kids once a year were amazed at the changes in confidence and behaviour and still talk to me about it because he is such a different teenager. Not only has Irene done amazing work with my son but she has equipped him with great tools to help his academics, and he finds learning now so much easier. MANIFESTING SUCCESS with SELLING MY HOUSE (During the Economic Crisis)!! I attended the Silva Life System Seminar on September 27 and 28, 2008. On October 30, 2008 I told Irene that I'd just put my house up for sale the previous weekend. She asked if I was doing any 'Silva' techniques for it – and explained how to use 'Mirror of the Mind' for this. I followed her instructions to the letter over the next 6 days, as instructed, then 'let it go' as she had advised. Two weeks later we had a signed offer, from a couple who fell in love with the house. Although the price was a little below what I wanted, we included an exit clause in the agreement. The following week we did get a higher offer, but eventually that one fell through. The second offer would have disadvantaged the first people, and I earnestly asked that they be looked after – which they were, albeit to my slight disadvantage. However, I guess that means there were two successes. I have now definitely sold my house (went unconditional and settled without any problems). In today's depressed market that is quite an achievement – to have sold privately, in a total of 3 weeks, when others are not selling even with agent assistance. In fact, my neice and partner have been trying to sell their house for the past two months, without success; even going to auction but with not one offer resulting. Is this success just a mystery? Or has some 'secret power' been at work here? I know what I believe! Thankyou Irene, and the Silva Method. I got an A+ in my favourite and 3rd stage paper at my University - Strategic Brand Management. I received a 100% in the exam (never done before). My online was 100% as well (10% of the course), my report was 38/40 (38% of the assessment). This meant that I received 48% for my assessment and 50% for exam = total of 98% (A+) overall!! :)I've been really calm over this period (exam time), unlike all the other times! After our graduate meeting I started doing the 30 minutes relaxation at night before I went to bed and even 15mins (going into Alpha sessions) basically anywhere that was quiet. I used this to calm myself and visualise what/how I wanted the exam to go and even for my presentations. I saw myself being happy, smiling and totally calm- that's why my recall period of everything I had memorised for the A+ paper came out so clearly! It was amazing...I wrote more pages then the booklet offered and I had time to plan my essays! :)After the graduate meeting it re-enforced for me how important it is not to be stressed out and be able to get oneself out of stressful situations- that's why relaxing and doing the exercises was so important for me, especially using the 3 finger technique- if i could feel my heart rate accelerating which we know leads to STRESS. It's been a great journey and I am happy with the outcome!! Especially since it's all been happening- getting both scholarships that I wanted, getting into Copenhagen and getting an A+ for my favourite paper!!! After completing the course I have been continuously reaching my monthly Sales Targets. Leads are coming through for Sales, and I have developed an excellent Rapport with my Sales Manager. Secondly, my landlady recently was very interested in selling the house I am currently renting. I wanted to continue to stay in the same house so I went to level and used one of the techniques which I had learned. After a couple of days I received an email from my landlady saying " Right now my family have decided not to sell the property and you and your family can continue to stay as long as you want!" Getting parking places comes effortlessly and finally, I find I have become calmer, full of energy and more focussed. Dear Irene, I have been following the Silva techniques for some time now and do all my studing at level. During my exams I am using the Silva techniques and my grades have gone up considerably. Thank you for your support and great presentation of the Silva Method. I read Jose Silva's book many years ago and was fascinated with it's content.Now thanks to you I have been able to complete the course in NZ.There was a challenge with lack of communication from a member within my circle affecting several people.I went to my level and asked for clarity and guidance on how to resolve it.The very next day this person said they wanted to talk, so we did .They apologised & said they weren't sure why they had been distant with those around them! The air was cleared and the communication improved by leaps and bounds!It's so exciting to have so many tools to utilise for personal development , literally at my finger tips and life is getting better 'n better 'n better. GOLF HANDICAP LOWERED FROM 24 TO 6! I have been playing golf socially for 10 years. When I had my two children, I decided after 3 months they could come to golf with me. They got strapped on the golf trundler in their push chair and off we went. Two years ago, I seriously decided to put in more effort as I found golf very interesting and challenging. After missing out on winning the mercedes tournaments 3 years ago, I decided to get really serious with my golf. I won the longest drive two years in a row, and just missed out on the regional finals. About two and a half years ago I attended my first SILVA Method Program! I started playing at a handicap of 24 when entering the mercedes' tournaments.After doing the Silva Method course, I started applying the techniques that would help me take control of my life and my sports.I got to a single figure of 9.9 a month ago. In addition, I repeated the course a number of times. Today my handicap is 7.9!! Raising the kids and being a wife and Mum is a tough job. However, I believe it becomes easier when you have techniques like stress control /meditation and heaps of others to refer to when you are going through some tough times. Daily I go to level to relax and regain some lost energy when feeling down. I listen to audio tapes when I need some motivation. I use half a glass of water to solve problems because it is so simple. I take these actions because I believe they Will work for me and they do. Doing the Silva exercises daily and regularly has done wonders for me in so many many ways. All I have to do and tell myself is I choose to be happy and so it is. Since taking the Silva course, I have more aware of all the unwanted and negative feelings, habits, and have slowly began to work through them. I stressed less, became a calmer and more peaceful person. I have better control of my life now, it's really great!! I was really worried about 'surviving' my school camp last year, as they often involved many physical activities which I wasn't good at. With the Silva Method, I programmed for myself to have fun. It was amazing -my camp group was quite an odd combination of people, none of us top athletes, but we worked together like clockwork and somehow won almost every challenge! It was total surprise from all of us! Prior to attending the Silva Course I was going through a financial crunch. I was contracted to do some work for a company (which i had done many times before on a regular basis)however, I had not been paid for a couple of months and I was becoming very concerned as I had incurred a lot of debts that needed to be paid asap. As soon as I completed the course, I programmed myself using one of the mental tools and visualised myself receiving a cheque for the full amount from the person concerned at a specific time on a specific day. (In the past the person concerned often set times, dates and places to meet with no intention of showing up). So on the day (programmed by me) I went to his place of business as agreed by both of us. (I went early to make sure I would not miss him) and exactly at the time specified he arrived(it was the first time in two years!!). Moreove, the cheque I received had the the correct amount owing to me. It was at this point that I really started believing in myself, in my capabilities and the Silva Method techniques. I truly am grateful. I was working as a consultant required to write a strategy and action plan for an agency. Upon completing the document, my employer reviewed the work and decided that I would affect their funding eligibility and asked me to re-write the document in their favour. I declined to do this and it resulted in my employer refusing to pay me for work completed. I used the Silva Method by going to level and visualising a discussion taking place with my employer, seeing it result in a positive way and result in my being paid in full. Two days later I was paid in full for my consultancy work - Success.......... thanks to Silva!"